Have you ever dreamt of a world where you can build anything? Of course you had, and it’s now possible with just a download and a few clicks. Meet Kodu, a game-making software from Microsoft that allows you to create, and play your own video games. Sculpt landscapes, shape mountains and hills, form rivers and oceans. Make a race track and program robots to race against you, or a simple role-playing game where the objective is to save the princess — anything is possible! First things first: download the Kodu App here. You can even share your hand-crafted world to Kodu’s community filled with other dreamers and creators. With that in mind, here are three notable worlds you can now download to showcase what you can do with this digital sandbox. Two teams, two goals and a ball—it’s Football. What else do you need to know? Developed by user 2Clarkd, Fifa World Cup uses simple rules and mechanics. What differentiates it from other worlds is that despite being small in scope, it feels more natural and smoother to play. Looking under the hood and checking the programming done, you can see the intricate detail that the developer did for programming the AI paths like how to score or how the ball will bounce. It is also one of the best multiplayer games in the community because it is easy to play and is well-polished with clear goals, mechanics, and objectives for players to achieve. Fifa World Cup can be summed up into three words: Simple, fast, and fun. 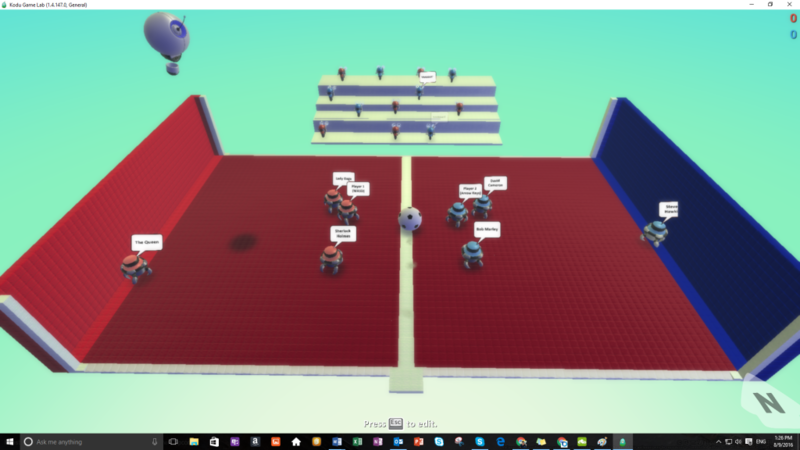 Fifa World Cup is a game that showcases what an elaborate and a sophisticated programming can do to deliver a smooth and simple two-player experience. Boot it up in Kodu, call a friend to play with you, and spend hours getting the ball to the goal. Classic. 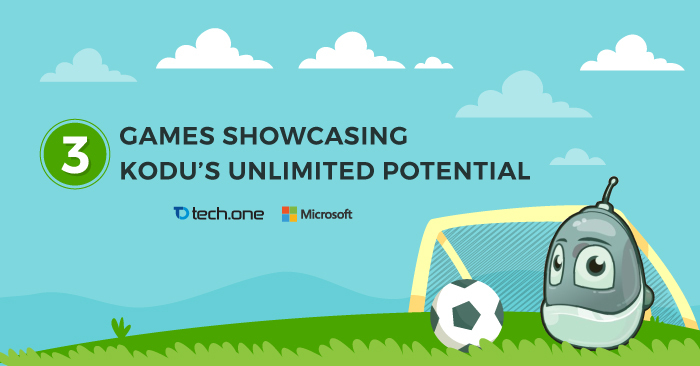 Download Fifa World Cup now on your Kodu! Fancy being sailor with your own boat? 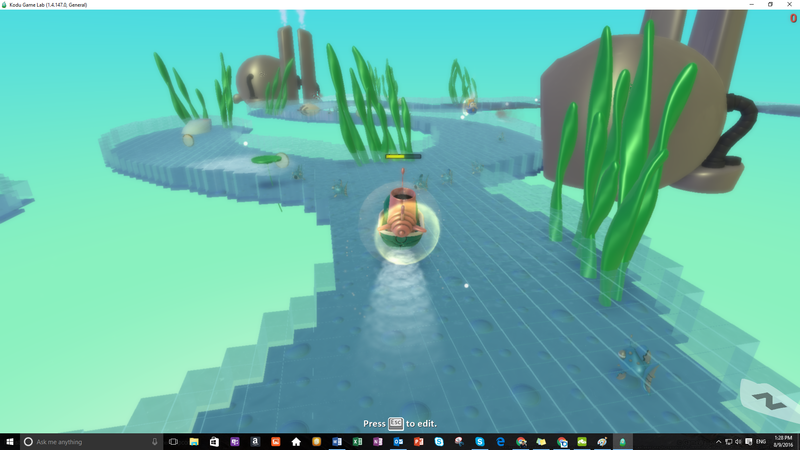 In RCC Boat Adventure you can control one… plus a cannon, because why not? Developed by user billy, RCC Adventure features a linear level design and path progression. What it showcases is its intricate use of terrain details and projectile programming. The game’s objective is to sail the boat across the water while avoiding the enemy’s line of fire. Using your cannon, you can bring down the enemies blocking your path. We don’t want to spoil the game for you, but something big is waiting for you at the end of the level. It’s one of the few games that uses water-based physics as one of the game’s logic. Instead of pinpoint movements, you have to align your controls with the game’s water movements in order to sail. Proper control, aiming, and positioning is required to complete the level. RCC Adventure is a game with good linear progression that uses brilliant terrain design and mechanics to deliver a total naval experience. A full-scale adventure crafted from scratch that required nothing but imagination and basic programming skills. If we have to choose a game to showcase the heights of Kodu’s fundamental features, it’s this game. Crafted by user bwilliams, Kodu New Hope is a fleshed out game with a detailed story, complex gameplay, different items, characters and dialogues, and even cut-scenes. Kodu New Hope is one of the best user-created worlds in the Kodu game library. It’s has fully-conceptualized characters with clearly-delivered objectives through dialogue and story progression. 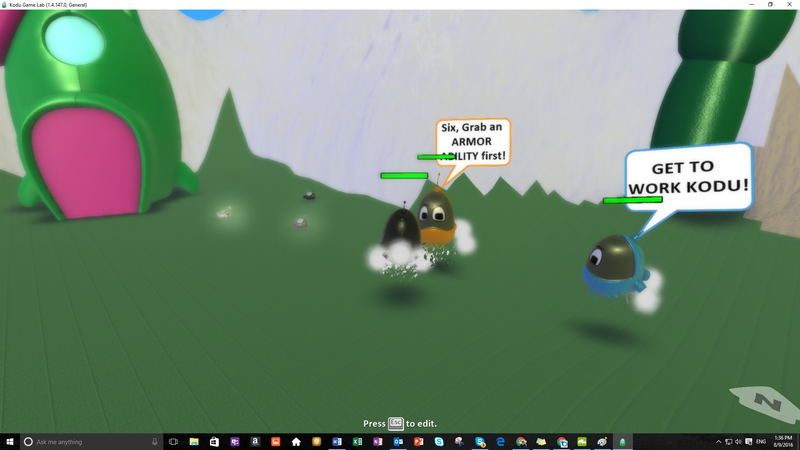 It is also jam-packed with different mechanics like varying items and abilities that are individually programed to do a specific task. It’s the fullest experience when it comes to programs interacting with each other to form a living and breathing world—the epitome of imagination with the help of Kodu. Experience Kodu New Hope now straight on your Kodu. Tech One Learning is now offering a Kodu course for children starting from August 8 to 10, 2016. For more information about Tech One Learning’s Kodu Course, click here.